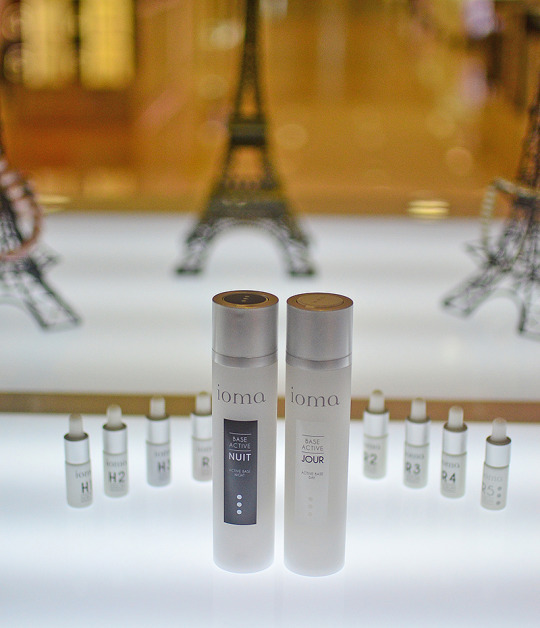 Congratulations IOMA Indonesia for their newly opened counter in Sogo Plaza Senayan, Jakarta. It’s IOMA’s 9th counter in Indonesia, and earlier this month I was invited to check out the counter. And of course, I wouldn’t missed the opportunity to redo my skin check. 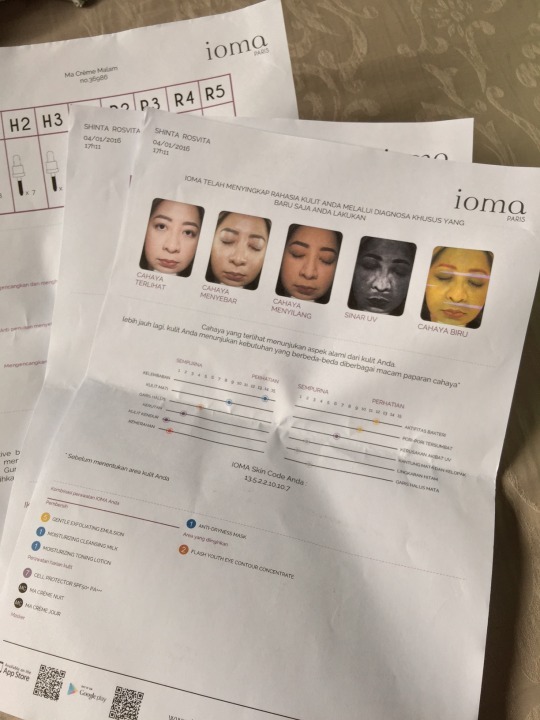 I did my skin check with IOMA before, just in case you missed my previous post, click here. 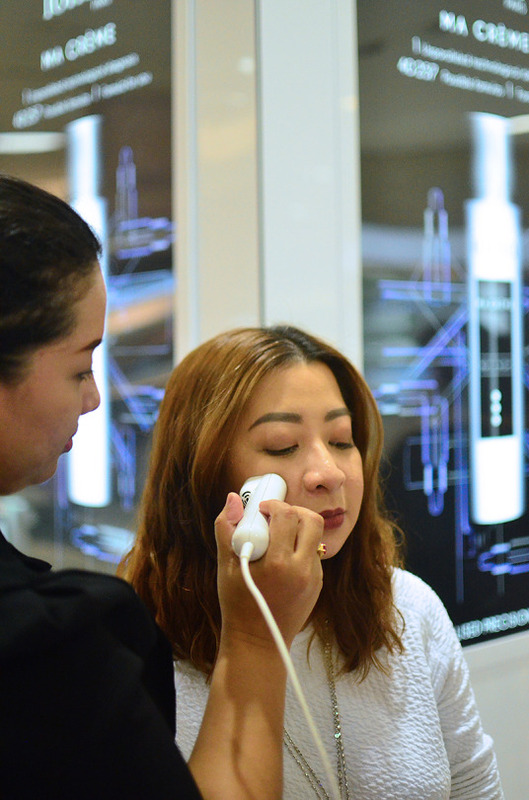 It’s recommended to do skin check on monthly basis, so we’ll know our current skin condition. 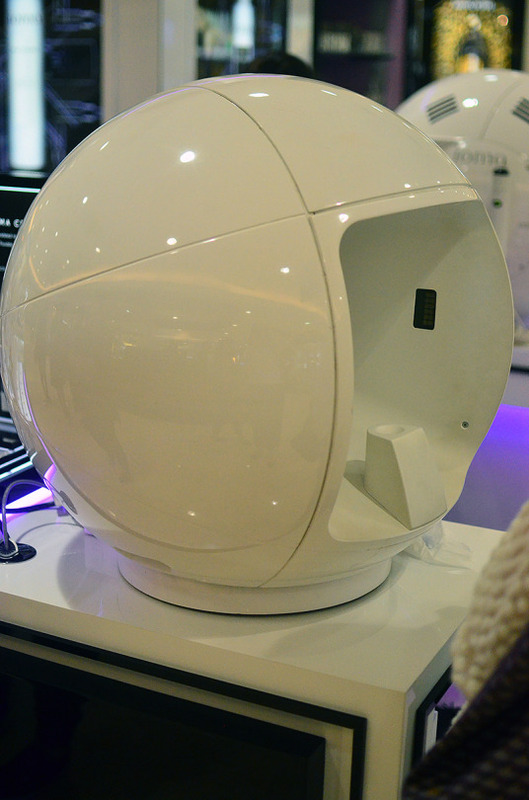 That’s IOMA Sphere 2. 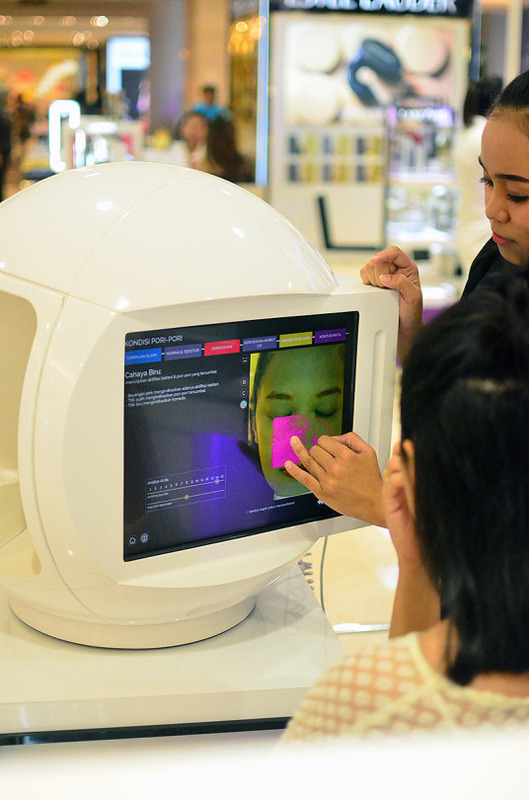 A very clever machine that can detect our skin’s imperfection which most often invisible to the naked eye. So how’s my skin report card? Well, even though I believe I applied moisturiser religiously, my skin still need more hydration. Bacterial activities is also high and I was faced with clogged pores and dead skin cells. Fortunately I do have some good points as well, such as no sagging skin (yeay! 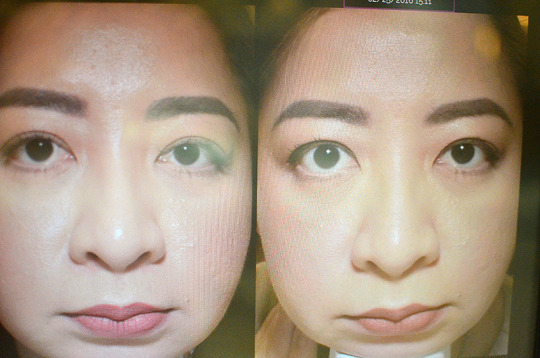 ), less wrinkles and dark circles (yeay again!). The whole diagnosis will only take less than two minutes, and we can even compare our condition (if like me, you already tried IOMA skin check before). Yes, they kept the record, just like doctor. 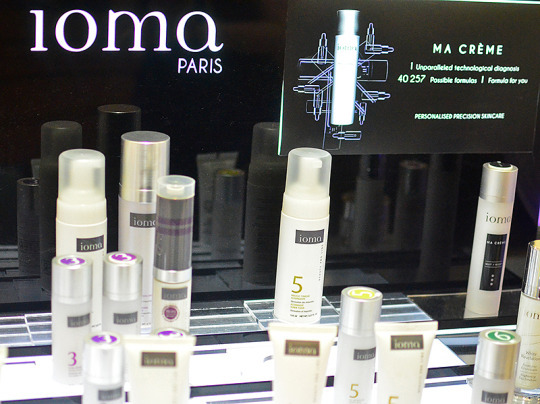 IOMA Sphere 2 will also suggest what combination of their products that we should use, according to our skin report card. 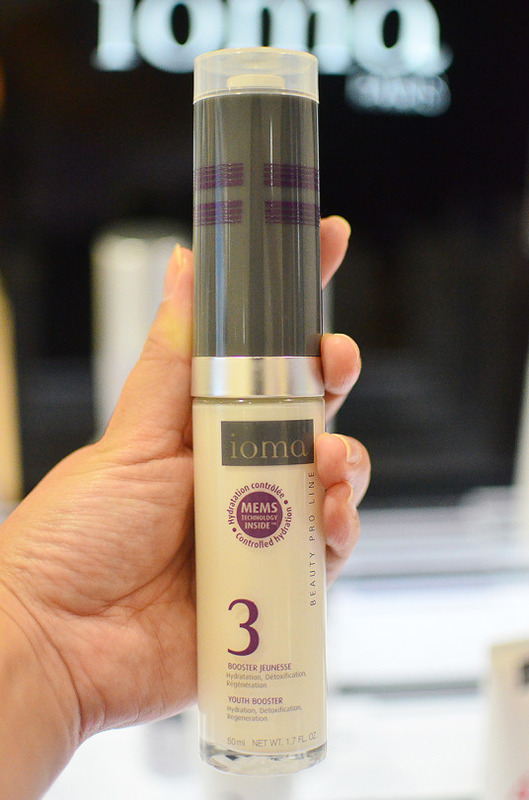 That’s what I like about IOMA, they have a bespoke day & night product that exactly made to fit our skin needs. Eight active serums will be mixed in front of our very eyes by the therapist, and one pump every morning and night is enough. Very practical for busy woman like myself. Another cool product from IOMA is IOMA YOUTH BOOSTER. So advanced, we can check our hydration level, anytime, anywhere with this product. 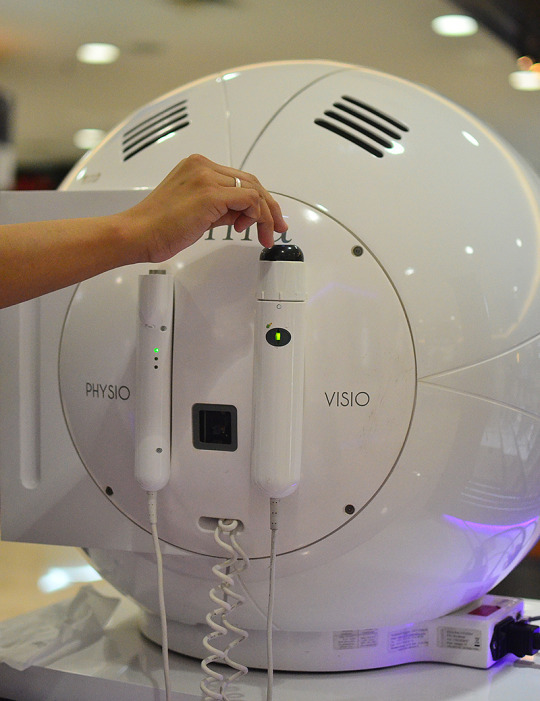 Not your ordinary anti-aging skin care, this can be use to check our skin’s hydration. The lid is actually a sensor to place on cheek for two seconds until the red light lit up. I was given this product, and will review them soon, so stay tune to find out more about this unique skin care product.